Why is lineage important? Because we do not live in a vacuum, we become who we are because of relationships. The importance of relationships is magnified when we aim to move into higher, unknown levels of consciousness which are revealed to us by our guides and their lineages. The root guru, our primary connection to the immensity of spirit is of particularly crucial importance. Our spiritual life takes on the flavor of this primary teacher. We find him or her not by coincidence or a casual choice, but because the root guru is the one who spiritually gives birth to us. Just as we are not choosing our mother, so we are not choosing our root guru. 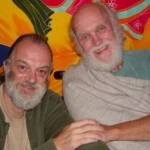 We may or may not discover this most profound of all relationships in a given life time, and if we do, the root guru does not have to be in a body. Beings of the highest accomplishment are not bound to a body. They are able to interact with us where we are. The question is: how open are we to their presence? 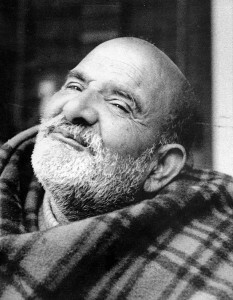 Ram Giri’s guru is Neemkaroli Baba, also known as Maharajji. He was one of the very few giants of spiritual realization in living memory, a mahasiddha or avadhut. He had no conventional teaching. He was a supreme master of pure divine love. Simply being in his presence was the most profound transformative experience. 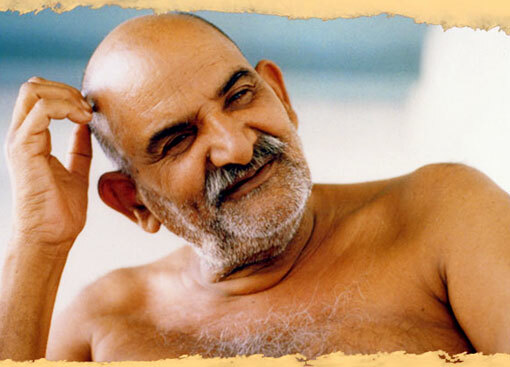 Maharajji became widely known through the book “Be Here Now” by Ram Dass, published in 1970, which had a historic impact on the development of modern spirituality. Ram Giri’s other teachers include Ananda Mayee Ma, Bhagavan Sri Ramana Maharshi, Anagarika Munindra, Sri Goenka, H.H. the 16th Karmapa, H.H. Dilgo Kyentse Rinpoche, H.H. 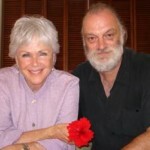 the Dalai Lama, Ma Jaya Bhagavati, Byron Katie, Eckhart Tolle and others.